"Pirates had infected the seas for generation, so I vowed to eliminate them all. Jack Sparrow cursed me. I will have my revenge." Disney has launched a new 60-second trailer preview for the new Pirates of the Caribbean: Dead Men Tell No Tales, the fifth Pirates movie so far. This new trailer focuses primarily on Javier Bardem as Captain Salazar, telling us a bit more of his story about how he was "cursed" by Jack Sparrow, and has come back from the dead to get his revenge. 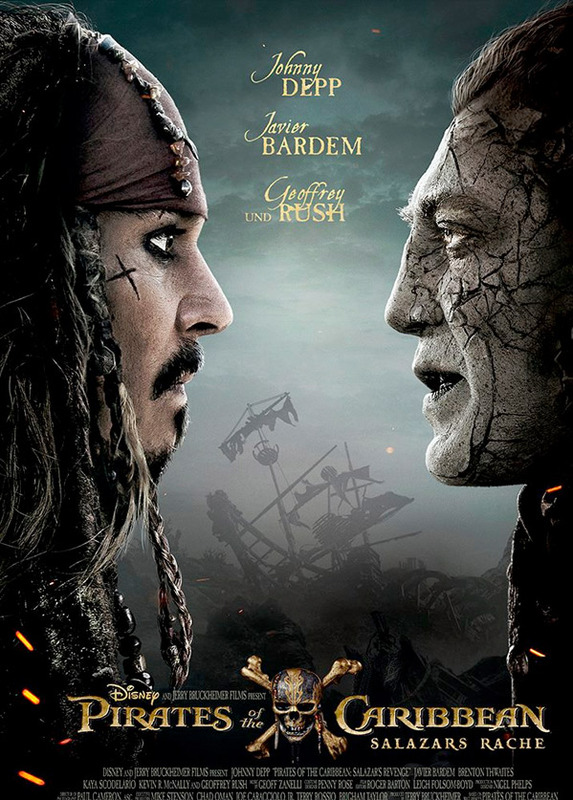 Johnny Depp is back as Captain Jack, along with Geoffrey Rush as Barbossa. The full cast includes Brenton Thwaites, Kaya Scodelario, Orlando Bloom, David Wenham, Kevin McNally, Golshifteh Farahani, plus surprises from past films. This is a follow-up to the full-length trailer released earlier this month, and features a bit of extra footage. Dive in. You can see the teaser trailer for POTC: Dead Men Tell No Tales here, the Super Bowl spot or second trailer.